It’s a brand new week, and as well as welcoming a brand new set of Venturers, we’re opening a brand new trench! Far from what would have been the heart of Suffolk’s original 12th century abbey, we spotted a strange geophysical anomaly. Knowing that there was a pillbox on site, we figured that this anomaly might be a gun emplacement, or something else related to WW2. 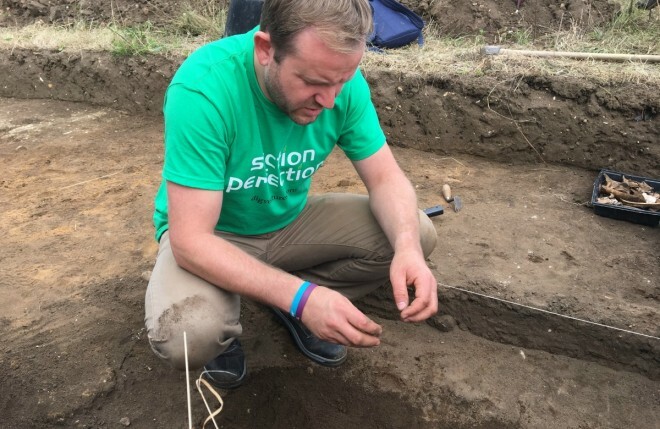 Now, it might seem odd that archaeologists trying to find a medieval abbey might decide to investigate a much later feature, but on an evaluation excavation like this, we’re interested in characterising the archaeology that survives. So which would it be? Part of a twelfth century abbey? Or a WW2 ruin? Thankfully, Trench supervisor Ed had Simon (a racing driver from Tilbury) and Gerard (a tattooist from Hackney) trowel-ready to help him out. As it turns out, the investigation was well worth it. A few short minutes into the brand new trench, we could see that it was full of light, sandy deposit. 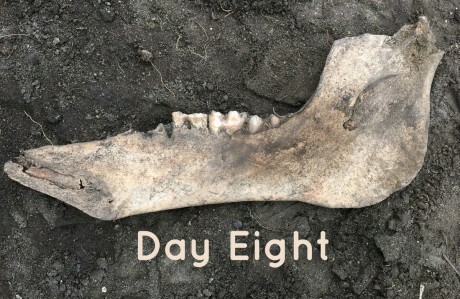 More than that, those light, sandy deposits contained a series of darker, siltier pits which in turn contained lots of tile, bone and oyster shell. Eagerly plucking the artefacts from the pits, Gerard and Simon quickly proved that this trench was medieval, and likely to be contemporary with the original twelfth century abbey. 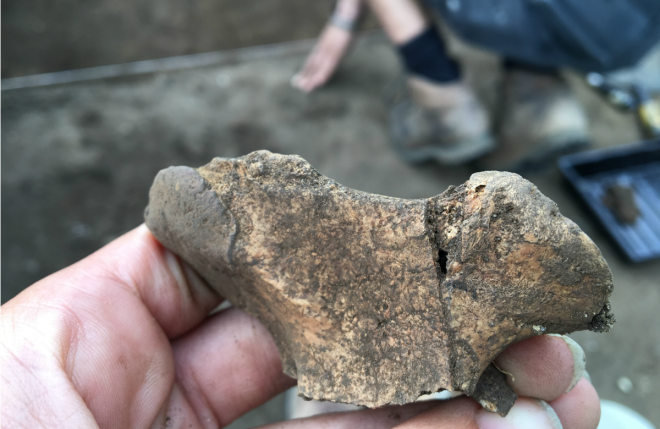 What’s more, many of the bones bore cut marks, and could easily be identified as pig, which gave us a good indication of what Suffolk’s original ‘pirate priests’ probably had for dinner. 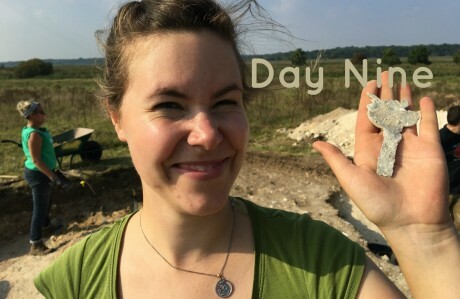 Site Diary: Finds, Finds And More Finds! 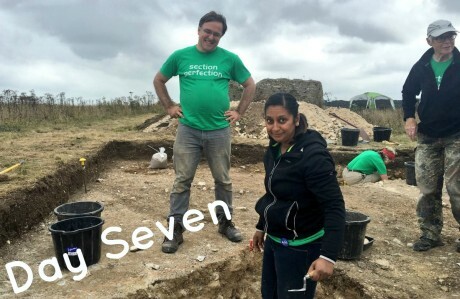 Site Diary: We Found A Medieval Floor! 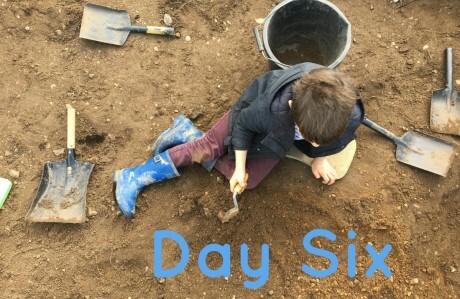 Site Diary: Archaeology Isn’t Just For Adults!